Generous donors have stepped forward to help secure the future at Benaroya Research Institute (BRI) by endowing chairs. More than $8.5 million has been committed to endowed chairs. “A lot of what we achieved in medical research at BRI over the last 30 years we didn’t think was possible,” says BRI President Jane Buckner, MD. “Through new discoveries, including ones at BRI, we went from poor or zero treatments for autoimmune diseases to medications that can rebalance the immune system. We saw people with rheumatoid arthritis or multiple sclerosis go from wheel chairs to walking and even running marathons! This dream was made into a reality by the many people who support us. They gave because they believed in us and had hope." 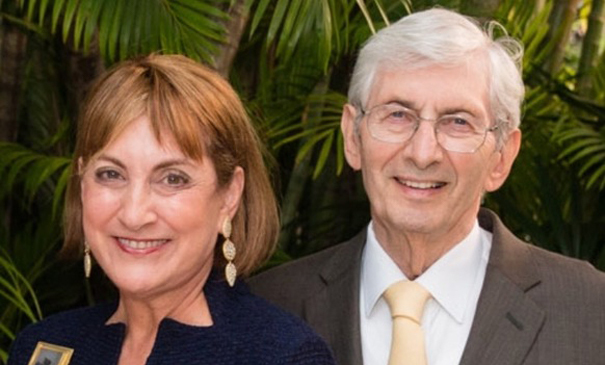 The Klorfine’s gift funds a research chair to pioneer advanced immunology technologies and to design and implement insightful new experiments. This research takes advantage of the explosion of data from genome studies and molecular profiling to understand the functioning of the immune system in health and disease.